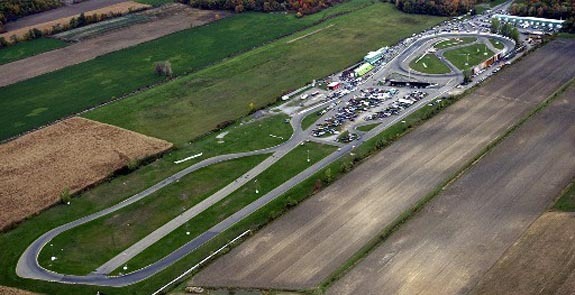 A few of my friends and I are looking at doing a track day at St Eustache in late April (most likely date is April 26th). I'm trying to get a feeler for how many people would be interested in participating. Classroom time in the morning, am practice, catered lunch, and track sessions in the afternoon. Everyone should be getting about 5 hours of track time between the am practice and pm runs. You will have to buy/borrow a helmet and they do not have any there. The track will be providing 15 instructors, flaggers, and an ambulance. Strasse will also be out there with a couple techs and a tow truck, should anyone need a hand. Their shop is about 30 min away from the track. The price is looking to be near $250 for the whole day of zooming around. Please post here or shoot me a pm if you're interested! Interesting ,very interesting. As soon as you have a confirmed please post it.